Toscanini’s Ice Cream Parlor, or Tosci's if you’re a regular, simply put, is one of the best ice cream parlors in the United States of America. Welcome to the third edition of the SocialSign.in Spotlight, a new blog series featuring members of our network and what makes them special. Today, we’re talking about one of the very first members of the SocialSign.in Network. It’s a business near and dear to our hearts for many reasons. Burnt Caramel Ice Cream is one of them. Toscanini’s Ice Cream Parlor, or Tosci’s if you’re a regular, simply put, is one of the best ice cream parlors in the United States of America. Founded in 1981 by Gus Rancatore, Kurt Jaenicke and 9 other ice cream enthusiasts, it’s become a staple of the community in Cambridge, Massachusetts and a hit amongst the 35,000+ college students in the area. 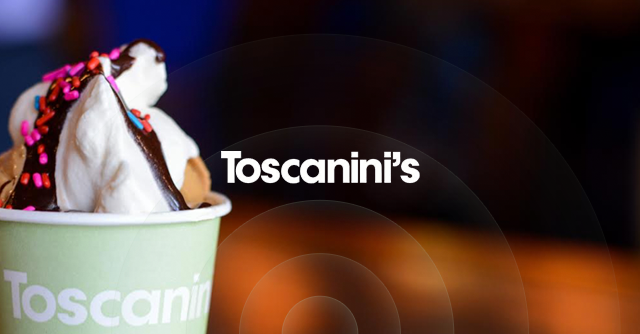 Toscanini’s offers a rotation of 32 different standard, seasonal and specialty flavors. For every flavor they make and all the products they sell, Tosci’s uses only the highest quality ingredients. Many of those ingredients come from long standing local relationships. The milk, cream, dairy and eggs that go into their ice cream comes from H.P. Hood, a 168 year old dairy operation from Charlestown, Massachusetts. Those ingredients have been delivered to their 899 Main Street location, like clockwork, by Rosev Dairy in Chelsea, Massachusetts since 1981. Other ingredients, however, simply aren’t very local. 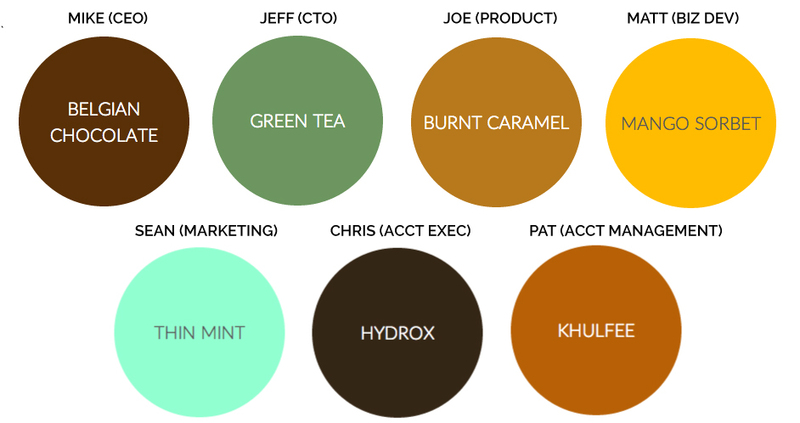 Flavors like Mango Ginger and Khulfee don’t exactly scream Boston, which is why Gus consulted with a Harvard Professor to learn about the Indian spices and components he would need to create the right taste. For a glimpse into the mind that is coming up with vegetable sorbets and bourbon black pepper ice cream, read an article Gus wrote for The Atlantic about how he gets inspired. We can rant and rave about how much we love Tosci’s ice cream, but don’t just take our word for it. The New York Times say it’s “The World’s Best Ice Cream” and 800+ Yelp reviewers, Thrillist, GQ and countless other publications seem to agree. If you’re planning a trip to Boston, are about to start your freshman year at one of the surrounding schools, or just want to plan a visit, click the images below for directions on how to get there. Thanks for reading the SocialSign.in Spotlight, and check out Toscanini’s Ice Cream Parlor next time you’re in Boston. If you want to become part of the SocialSign.in network, contact us today. If you are currently working with SocialSign.in and want to be featured in a future edition of our Spotlight series, you can email to sean@socialsign.in or tweet @SocialSignIn today. Every NCAA Team. Every NCAA Stadium. This is your guide to College Football WiFi.